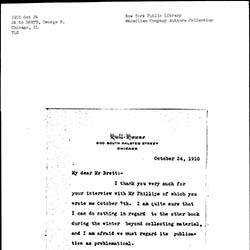 I thank you very much for your interview with Mr Phillips of which you wrote me October 7th. 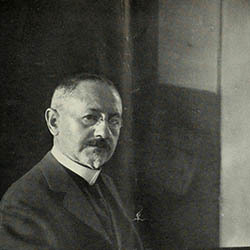 I am quite sure that I can do nothing in regard to the other book during the winter beyond collecting material, and I am afraid we must regard its publication as problematical. 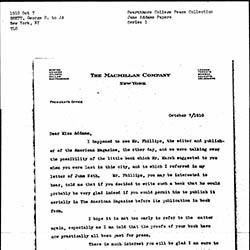 Addams declines Brett's offer to work on another book. 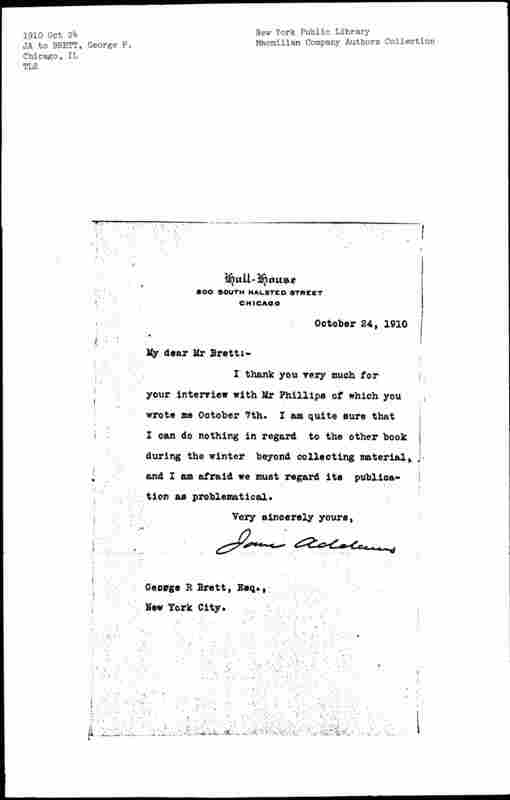 Addams, Jane, “Jane Addams to George P. Brett, October 24, 1910,” Jane Addams Digital Edition, accessed April 22, 2019, https://digital.janeaddams.ramapo.edu/items/show/2804.